There are situations in life where one needs a thick skin. Where one has to be very resilient and tough. Which is why Robusto is also the perfect floor for extreme levels of use. With its high-density, 12-mm thick fibreboard and an especially wear-resistant surface, it can cope with pretty much anything to which it is exposed. Even if used for commercial purposes. Its CLIC tongue-and-groove connection system will never disappoint in any situation as it was specially developed to hold up under the highest pressure. Ac5 rated floor ideal for commercial use. 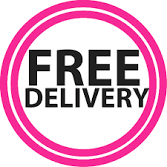 PURCHASE MINIMUM 15 PACKS OF THIS ITEM AND GET FREE DELIVERY UK MAINLAND ONLY!!!! !